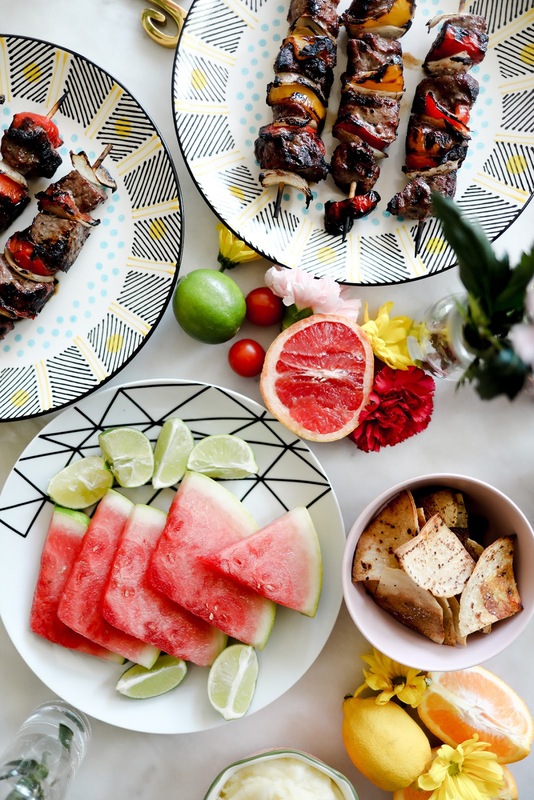 This recipe screams SUMMAH on a stick, right? If you think I'm done with my summer fever, you are wrong, wrong, wrong! 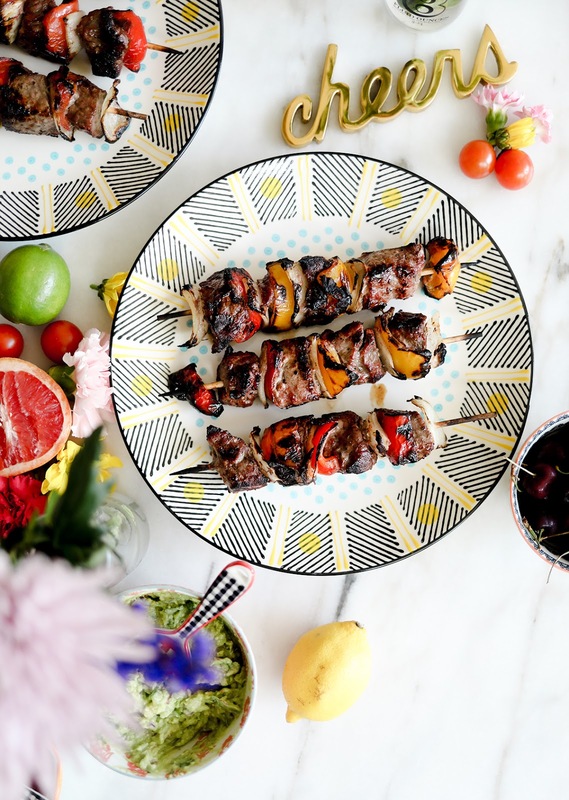 We cooked this recipe last weekend while Nico and Oli played in our ultra-tiny backyard and I had a sriracha fest while cooking these skewers (what could possibly be better than a hot sauce party?). 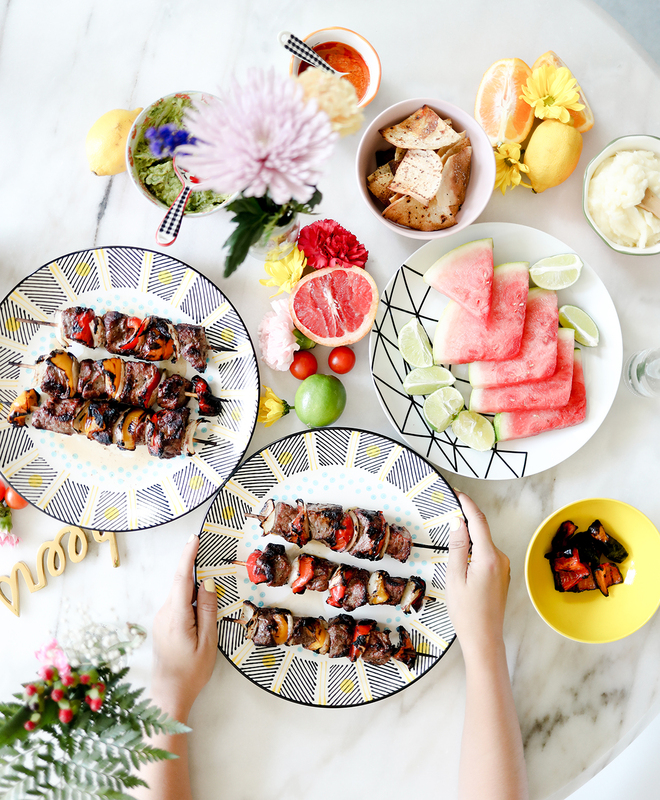 Skewers are such an easy and different way to prepare beef, along with bell peppers and onions, true rainbow goals on goals! If you adore sriracha, veggies, and beef, this is YOUR dream recipe, so let's do this! 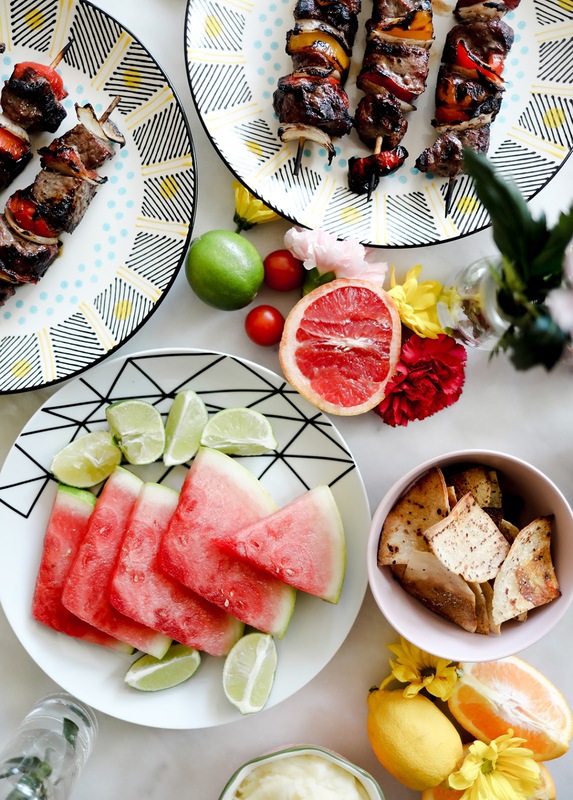 We served our skewers with fresh mashed potatoes, watermelon and feta, guac and olive oil & oregano chips. Mix the BBQ sauce, Sriracha sauce, lime juice, honey and a bit of salt.